The P5 +1 and Iran agreed to a Nuclear Deal in Geneva. The deal is being viewed as a historic moment in diplomatic relations between the United States and Iran. It is the first phase of a process that will determine how far these new agreements Iran, the United States, France, Great Britain and Israel (who is behind the scenes with Saudi Arabia and U.A.E) will go. Under the agreement, Iran will stop enriching uranium over 5% and dismantle its stockpile of 20% enriched uranium. 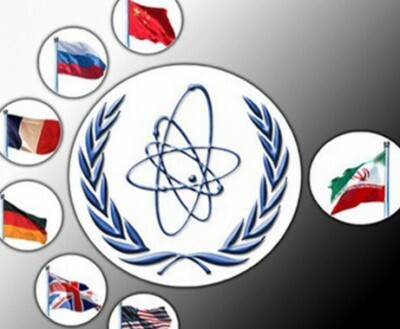 Iran will also cooperate with the United Nations’ International Atomic Energy Agency (IAEA) with inspections and has agreed to stop construction on its heavy water reactor at the Arak plant. In return, the US will release $4 billion in Iranian assets seized during previous sanctions. It is a deal that the Israeli government is not comfortable with. Israel wants a better deal that would have Iran completely abandon their nuclear program. One certainty that you can count on is how much power Israel’s lobby in Washington, the American Israel Public Affairs Committee (AIPAC) has on the US Congress to reject Iran’s nuclear deal when the first phase ends in May 2014. AIPAC has leverage over many key people in congress and even in the Oval office including the current US President Barack Obama. Already both Republicans and Democrats are planning the next set of sanctions on Iran come this December. “Disappointed” said Senator Charles Schumer of New York “because it does not seem proportional. Iran simply freezes its nuclear capabilities while we reduce the sanctions…. This disproportionality…makes it more likely that Democrats and Republicans will join together and pass additional sanctions when we return in December” NBC News reported. President Obama warned against new sanctions when he said “now is not the time to move forward on new sanctions, because doing so would derail this promising first step, alienate us from our allies and risk unraveling the coalition that enabled our sanctions to be enforced in the first place” But the Senate Relations Committee chairman Robert Menendez of New Jersey said that the agreement would “provide for a six month window to reach a final agreement before imposing new sanctions on Iran,” even though sanctions would be “immediately available should the talks falter or Iran fail to implement or breach the interim agreement” in a statement. The United States-Israel Strategic Partnership Act of 2013 seeks to dramatically strengthen the relationship between the two allies as they work to confront new threats and challenges in the Middle East. The legislation—co-sponsored by Reps. Ileana Ros-Lehtinen (R-FL) and Ted Deutch (D-FL) in the House and by Sens. Barbara Boxer (D-CA) and Roy Blunt (R-MO) in the Senate—declares that Israel is a “major strategic partner” of the United States. This designation lays the foundation for expanded U.S.-Israel cooperation in a wide variety of spheres, including defense, intelligence, homeland security, energy, science and trade. “Our executive branch goes along, pays billions to the UN, so the UN has zero incentive to reform. We should shift UN funding to a voluntary basis, because smart withholding the funds works,” she said. The threat to cut financial aid to the Palestinians, despite the Administration’s objections, makes perfect sense, Ros-Lehtinen added. “We need to stop Abu-Mazen’s dangerous scheme. I hope that the U.S. Congress takes a very forceful stand against this statehood issue. It’s time to tell the Palestinians: If you are going with this statehood issue and it is granted, then the U.S. must cut funding to the Palestinians. We gave them billions of dollars these past years, but is Israel safer because of this money going to the Palestinian Authority?” Is she not concerned that if the U.S. withdraws funds, the vacuum will be filled by countries such as Iran and Saudi Arabia? “Of course these countries can always try to fill the vacuum, but at least we won’t be part of the problem, and if we fund this scheme, we are part of the problem, we are funding a sworn enemy of the State of Israel, and I don’t want our tax dollars to do that,” she says. A key pillar of the Lobby’s effectiveness is its influence in the U.S. Congress, where Israel is virtually immune from criticism. This is in itself a remarkable situation, because Congress almost never shies away from contentious issues. Whether the issue is abortion, affirmative action, health care, or welfare, there is certain to be a lively debate on Capitol Hill. Where Israel is concerned, however, potential critics fall silent and there is hardly any debate at all. It is AIPAC itself, however, that forms the core of the Lobby’s influence in Congress. AIPAC’s success is due to its ability to reward legislators and congressional candidates who support its agenda, and to punish those who challenge it. Money is critical to U.S. elections (as the recent scandal over lobbyist Jack Abramoff’s various shady dealings reminds us), and AIPAC makes sure that its friends get strong financial support from the myriad pro‐Israel political action committees. Those seen as hostile to Israel, on the other hand, can be sure that AIPAC will direct campaign contributions to their political opponents. AIPAC also organizes letter‐writing campaigns and encourages newspaper editors to endorse pro‐Israel candidates. Obama is following the same strategy as previous US administrations, and that is to create economic difficulties for the Iranian people with the hope that they would overthrow their government. It is intended to create “Regime Change”. Prepare for a long 6 months ahead. Israel will try to disrupt Iran’s nuclear deal at any cost. Iran will be accused of not following the conditions of the deal. Washington will seed to Israel’s demands until Iran dismantles its nuclear program and submits to Israel’s dominance in the Middle East. AIPAC controls the US Congress and the US presidency, make no mistake about that. Many of Obama’s supporters believe that Obama is trying diplomacy, a road to peace. But this is the same president that almost launched a war against Syria and is continuing his drone strike policies at unprecedented levels. Remember the US and Israel are staunch allies to say the least, regardless of what the American Main Stream Media outlets say about the so-called “difficult” relationship between Obama and Natanyahu. After all Obama declared America’s commitment to Israel’s security last March when he visited the country and said “I see this visit as an opportunity to reaffirm the unbreakable bond between our nations, to restate America’s unwavering commitment to Israel’s security and to speak directly to the people of Israel and to your neighbours.” The question people should be asking is what is Washington’s next move?